cavan-derver -- Erected by PHILIP | MOYNAGH (?) in memory of his | Father CHRISTr. MOYNAGH (?) 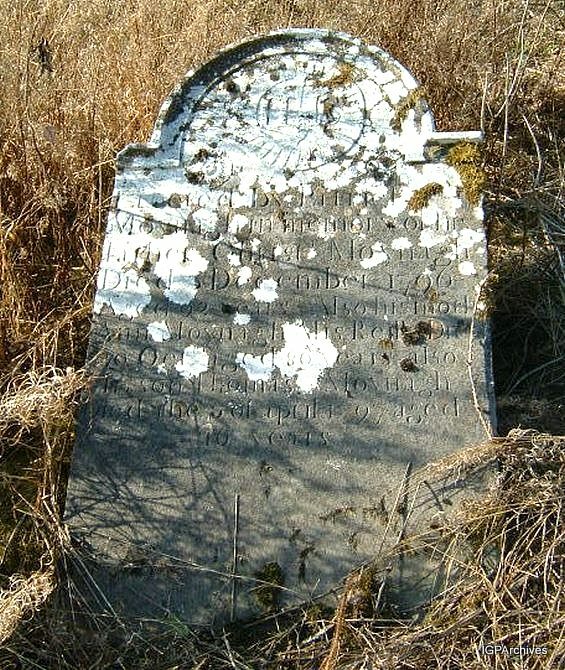 | Died December 1796 | Aged _2 years Also his Mother | ANN MOYNAGH Alias REILLY (?) died (?) | .. Oct Aged 80 (?) years also | his son THOMAS MOYNAGH | Died the 5 (?) of April 1897 (?) aged | 70 Years.